This Team Bombshell sample workout combines specific cardio and weight-lifting drills for serious body-sculpting results. Ready to jumpstart your own body transformation? Try this sample weight lifting plan for women workout from Shannon Dey, M.S., founder and CEO of Bombshell Fitness, a competitive training and coaching group for female athletes. If this expert-grade routine seems intense, that’s because it is. But if you want to sculpt, tone, and firm your entire body—including those pesky trouble spots—this is your ultimate blueprint. Designed for an intermediate athlete, the following plan is inspired by the programs Dey creates for her Figure and Bikini competition clients. Dey points out that it will take at least three weeks of consistent nutrition and training to get increase the metabolism enough to see results, so it’s very important to practice patience, be consistent, and stay positive. This week-by-week training plan switches up the workouts you perform to prevent plateauing and help challenge your body to its maximum potential. As with most fitness plans, prescriptions may need to be tailored to your specific needs and goals. Always consult a physician before beginning any fitness or weight loss program. These cardio workouts are intended to be tough. If you can't complete your entire cardio session in the beginning, don't get discouraged. Push yourself a bit further each day until you can do the entire session at the pace listed. It may take a few weeks of building endurance to be able to complete the entire session. You know you are working at the right level if you are not able to talk on the phone, or read a book, Dey says. 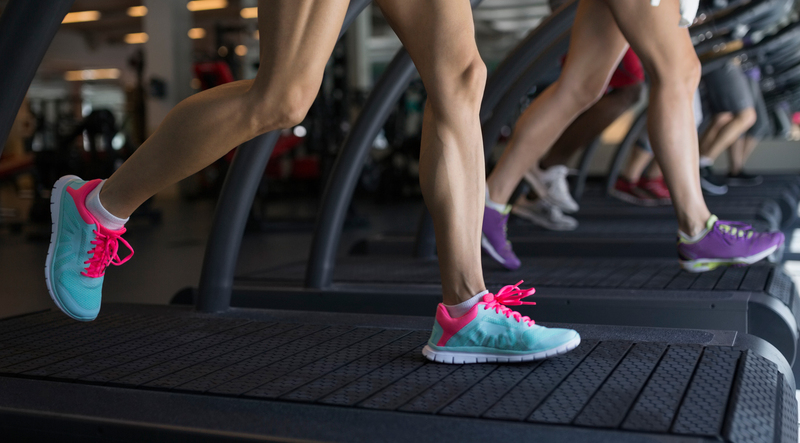 Treadmill Intervals: Complete the rotation below seven times for a total of 35 minutes. If the speed becomes too easy, increase the rate. Bike Intervals: Complete the rotation below six times for a total of 45-50 minutes. Only do one weight training session per day. Dey recommends breaking up the weight training and cardio sessions for morning and night. However, if you must do your both sessions at the same time, complete the weight training first. All the moves listed here are designed to be performed quickly, but with good form. Each weight training session should take no more than 45 minutes to an hour. Most of these sessions include supersets, which means the exercises and their repetitions listed should be performed back-to-back, without rest. Do the following exercises four times in a circuit, without resting between moves. Rest 1 minute between rounds.